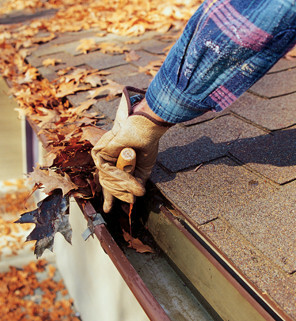 No job is too small for The Gutter Man of Tampa Bay! What might take you hours and several trips to the hardware store for the right equipment may only take us half an hour — so save yourself the trouble and stick to spending your time on things you enjoy. Leave the gutters to The Gutter Man! Gutter & Downspout Cleaning Reduce the likelihood of water damage to your home or business and runoff damage to your landscape with our gutter and downspout cleaning services. 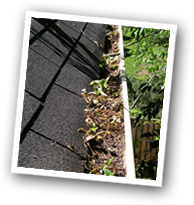 We keep your gutters debris and clog-free to maintain proper water flow all year long, regardless of the weather! Installation of New Gutter Systems Depending on the age, style and construction of your property, your roof may require a specific gutter to keep rain water and debris flowing through the proper channels. If this is the case, The Gutter Man professionals can quickly identify the right gutter for your property, and install your new system efficiently and affordably. Gutter Guard Installation, Repair & Replacement If your gutters are a fairly recent investment, but continue to get clogged and cause trouble, gutter guards may be your most cost-effective solution. Designed for old and new gutters, gutter guards prevent leaves and debris from clogging your gutters — without incurring the cost of a full gutter replacement and installation. Laundry Dryer Vent Cleaning Did you know that most dryer vents should be cleaned every 2–3 years? A clogged and unclean dryer vent will cause your dryer to run hotter than usual, which increases your energy use and the potential for a fire if the problem remains unattended. 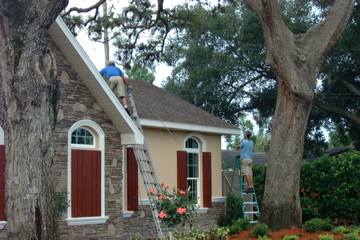 Minor Repairs to Gutters, Soffit & Fascia If you suspect something is off with your gutter system, or if parts of your property’s siding seem amiss, call The Gutter Man of Tampa Bay! Our crews will inspect your gutters, soffit and fascia to help you detect and correct the problem if repairs are needed. Don’t see a specific service above you’re interested in? Just ask us! We’re constantly expanding the capabilities of our team to meet the demands of our customers and would be glad to do so for you and your property. Call today for a FREE consultation or inspection or fill out the form below to schedule your service!